People these days are looking for stable options where they can make profits on their investments. Some choose to invest in the stock market, while others just want to put their money in banks. If you want lower risk investment alternatives, it may be better for you to open a savings account. Your savings account will be a safe place for you to keep your money. It is better than just keeping your money at home as your money will earn interest if you place it in your savings account. But you should not just choose any savings account. Choose one with the best interest rates. Where should you start your search for the best high interest savings account? You will have a better chance of finding high interest saving accounts online. Financial institutions that operate online can afford to offer the best interest rates because they have lower overhead costs compared to physical banks. It would be best if you do some comparison shopping to find the best interest rates for internet savings accounts. There are websites that allow you to compare interest rates from various banks. Though online banks may have the best interest rates, but it would also be better if you also compare the interest rates offered by the physical banks. Check with the bank where you opened your checking account first if they also offer savings accounts. They may offer the best instant access savings accounts especially if you have already established a good relationship with the bank. Some banks also offer interest bearing checking accounts to their valued clients. These accounts may have lower interest rates compared to checking accounts but still, you may also want to consider this option if you need a checking account. Aside from banks, you should also consider your options with credit unions when it comes to savings accounts. You also have to decide what type of interest rate you would want for your savings account. 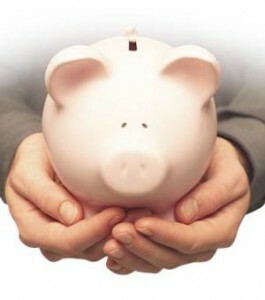 It may be better to look for savings accounts with fixed interest rates. But aside from savings accounts interest rates, there are also other things you need to take into consideration before you open a savings account. You should also check the minimum required balance for the savings account. There are some banks that charge fees if ever your balance is below the required minimum balance but you can also find no-fee savings accounts from some banks. Before you open a savings account, you also have to ask yourself whether you can afford to lock your cash away for a certain period of time. In case of emergencies, you may have to access your account. In this case, it would be better for you to look for banks that do not charge withdrawal fees if you would need to access your funds for emergencies. The ideal savings accounts are those that will allow you to withdraw funds from your account whenever you need it without charging penalty fees. It is also advisable for you to pay off your debts first before opening a savings account as the interest rate on your debts may be higher compared to the interest you would earn on your savings account.